Dad’s the man, and now the time has come to show it. 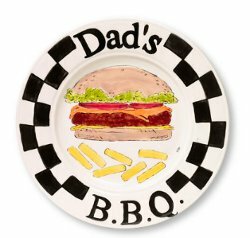 Father’s Day is coming sooner than you might think, and while Dad might say he only wants a sunny afternoon barbeque, the truth is that he’d love nothing more than a sweet token of appreciate from his kids. After all, your kids will grow up before you know it, so helping your little ones make a special present for their papa will give him a keepsake he’ll save forever. 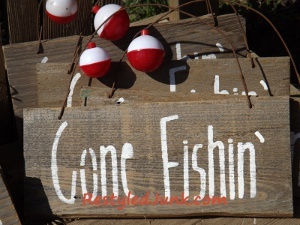 Whether Dad is a tech-geek, an athlete, or an all-around manly man, there are plenty of homemade Father’s Day gifts your #1 man is sure to love! 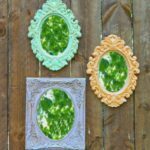 Don’t wait another minute to start creating these Father’s Day crafts with your kiddos. No holiday is complete without sentimental gifts, and Father’s Day is no exception. It takes a lot of love to find the perfect Father’s Day gifts for kids to make, but luckily, you can use these ideas to get started. With these Father’s Day crafts, kids can award their dad with the Best Daddy Award, or show him that he’s worth a fortune with the Million Dollar Money Clips. 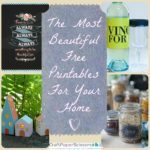 Browse this list of Father’s Day gifts homemade by kids, and find the one that your #1 Dad will absolutely love. Suit Up DIY Father’s Day Gift – NEW! Dandy Dad Goodie Bags – NEW! Don’t have time to DIY a gift? Already bought a present for Dad? 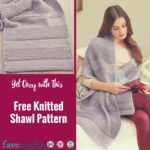 Never fear, AllFreeKidsCrafts is here! 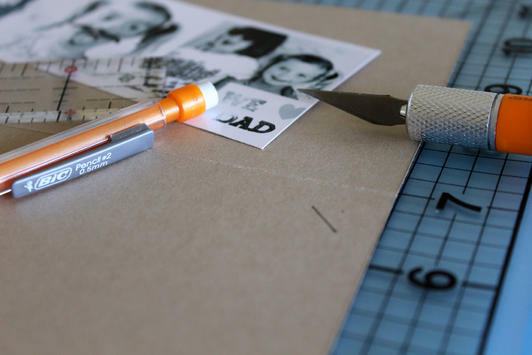 Making him a homemade Father’s Day card is the perfect way to get a little personalization into Dad’s special day. After all, gifts are nice, but words of love and appreciation will stick with Dad forever. Whether your kids are toddlers or teens, these charming homemade cards are ‘perfectly suited‘ to make this Father’s Day a memorable one. Bow Tie Father’s Day Card – NEW! Handy Man Father’s Day Card – NEW! 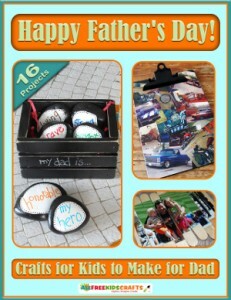 Dad Rocks Father’s Day Card – NEW! 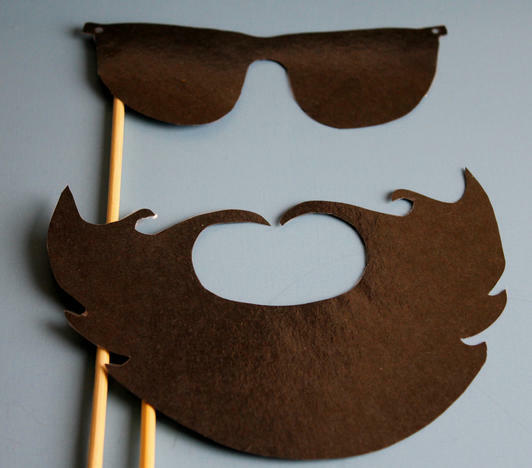 These Father’s Day crafts are the best of the rest, but if you still need more ideas, don’t fret. 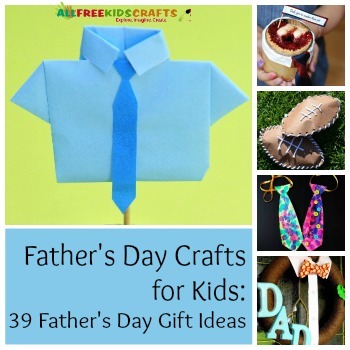 You can find 39 Father’s Day Gift Ideas on AllFreeKidsCrafts! 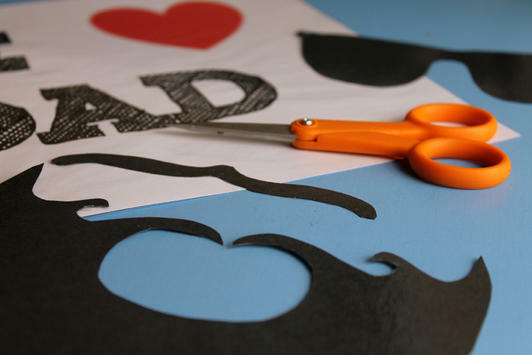 Which Father’s Day crafts are you planning to make? 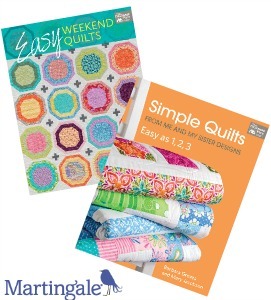 Father’s Day is around the corner and we think that store-bought gifts are just a little boring. 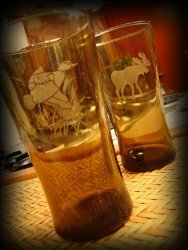 Unused ties, Best Dad mugs, and golf balls are all collecting dust this year. It may seem like there are no other options for Father’s Day, but I can assure you that handmade gifts are the way to go. My dad still has some of my childhood artwork on his desk and hanging on his walls. I still stand by my motto: Happiness is Handmade. Where to start? To make things easier for you, I’ve divided up our best “Dad Crafts” into categories so you can pick the right craft project to make. Start thinking about what your dad really likes and I’m sure you’ll make his day this Father’s Day! Father’s Day Photo Shoot Saturday! With May almost coming to a close, we’re all eager to get closer and closer to June, the first month of summer and of course, Father’s Day. That’s why we at AllFreeHolidayCrafts feel such a strong urge to share our favorite handmade Father’s Day card around, the Photo Booth Father’s Day card. This card is as personalized as they come, and it’s a whole lot of fun to make. Spend this Saturday in full-out photo shoot mode and capture a few goofy photos of the kids to make Dad the greatest card out there. The Photo Booth Father’s Day card is so much more than a handmade card for Dad; it’s a day full of photography, and dress-up fun for the kids. Follow the step-by-step directions in this tutorial to create fun and goofy props for the children and grandchildren to model with. 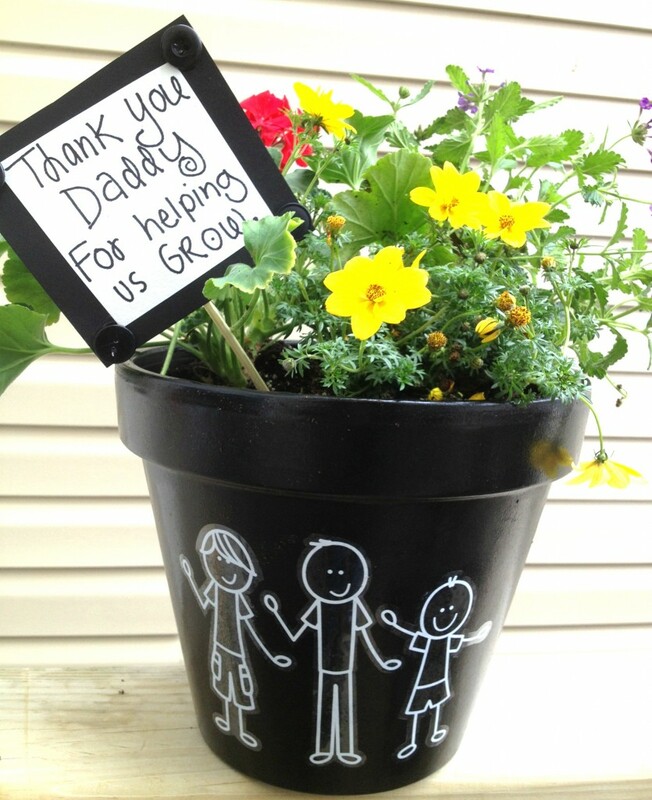 This Father’s Day craft will fill the entire day with fun and laughter. 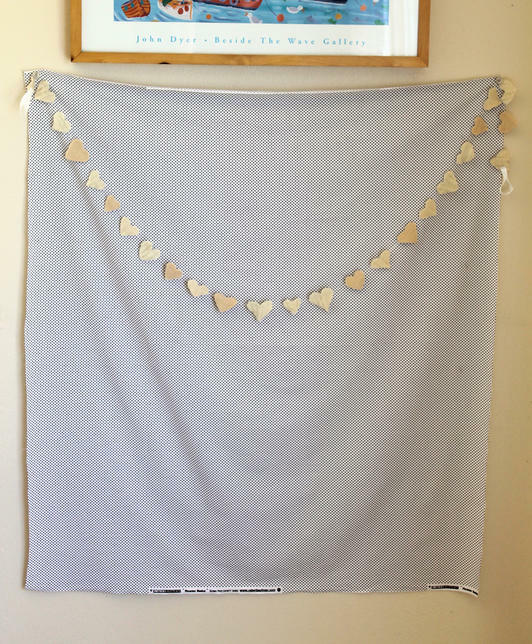 Once you have finished your cut-outs and props, create a simple background to re-create the feel of an actual photo booth. Then it’s time to move on to the best part; the photo shoot! Your kids and grandchildren will have so much fun dressing-up for Daddy and Grandpa’s card, you won’t believe how many great shots you’ll be able to get. In all honestly, taking pictures of the little ones has never been this easy! This wonderful Father’s Day card is as great as they come, it’s a blast to create and will leave you with life-long memories, and photographs too! Gather up the young in’s and get started on this wonderful Photo Booth Father’s Day card; it’s perfect for your father and husband alike. 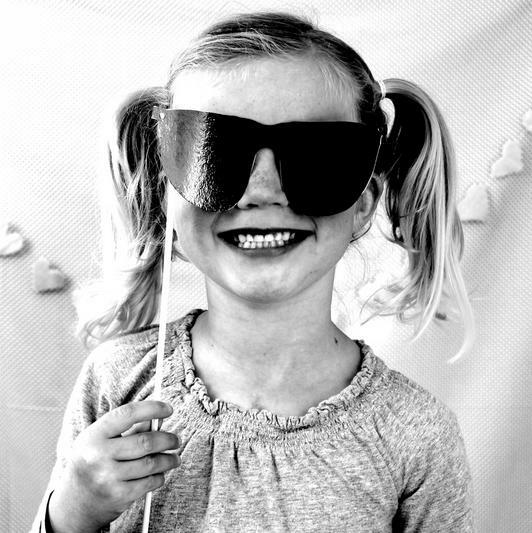 What’s the goofiest craft that you’ve ever started with the kids? Let’s raise our juice boxes to the men who fix our bikes, the leaking faucet, and scraped knees. Their generosity extends much further than the handyman status, and for that, we thank them. And while a toast would satisfy those grateful guys just fine, they deserve more. Treat your favorite fellas to a day that is dedicated to them. Yup; a 24-hour period that is all about appreciation, love, and admiration aimed at the gentlemen who make your family whole. To show your handsome Hercules just how much he is adored, spend time making homemade gifts for Father’s Day with your kids. 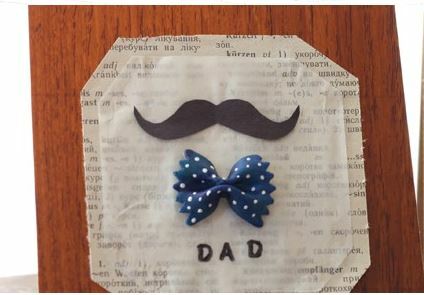 This process should be fun and exciting, so to alleviate any stress, AllFreeKidsCrafts has gathered the 16 best Father’s Day crafts for kids to make and bound them neatly in a free eBook for your viewing pleasure. 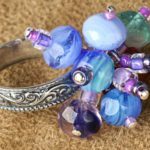 The challenge of finding the perfect craft to create has been eliminated, and all that’s left for you to do is to get artsy. That doesn’t sound like a bad job, now does it? 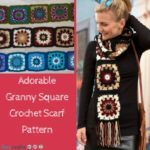 The 16 crafts presented in this free eBook are varied enough that you are sure to find the perfect crafts for the men in your life no matter their interests. We have covered every type of guy from the sporty dad to the sentimental father. 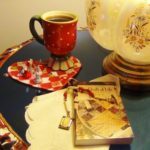 There are cards, gifts, and decorations included to make sure that the third Sunday in June is a full celebration this year. Nothing will mean more to Dad or Grandpa than a heartfelt note expressing how he makes you feel. Whether those strong dudes show their sensitive side or not, it’s there, and it’s just waiting to make its appearance. Since your meaningful note will be tailored specifically to the recipient, your homemade card ideas for Father’s Day should be too. That’s an easy task to complete thanks to the diverse projects presented in this free eBook of Father’s Day crafts for kids to make. 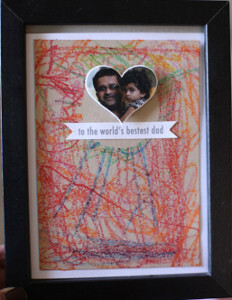 Watch Dad’s heart melt as you hand him your handmade card that you made all by yourself. 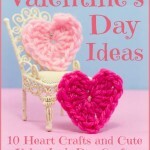 Even if you’re just a toddler, there is a darling card that you can make. Though a gift is not necessary if you give Dad the perfect card, it would still be very much appreciated, no doubt. Homemade gifts for Father’s Day are worlds more meaningful than a store-bought present, even if it’s exactly what he asked for. When you pour thought, effort, and love into a gift, it shines more brightly than any brand-new car or straight-out-of-the-box electronic. Make Dad a gift that he will treasure forever, like the Daddy’s Day Alphabet Kids Picture. There is no question that this sweet gift will have a permanent place on Dad’s desk and in his heart. What was the most meaningful Father’s Day gift you have ever made? 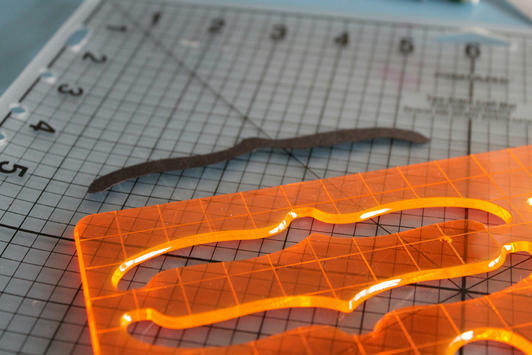 Father’s Day is coming up, so now’s the perfect time to work a little geeky magic on an otherwise tame and traditional gift. 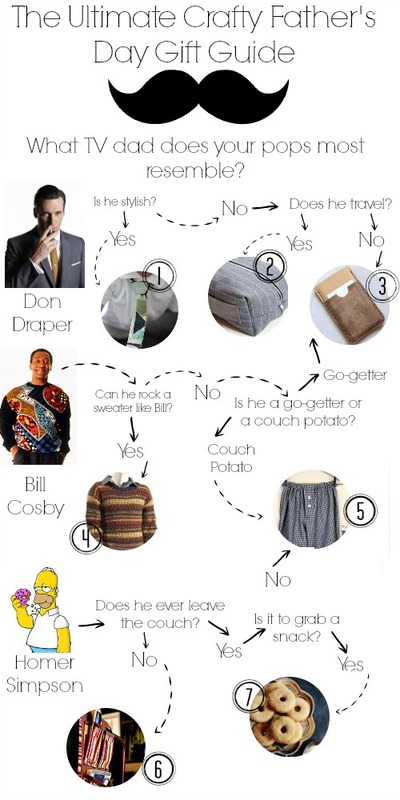 Forget taking a trip to your local menswear emporium. 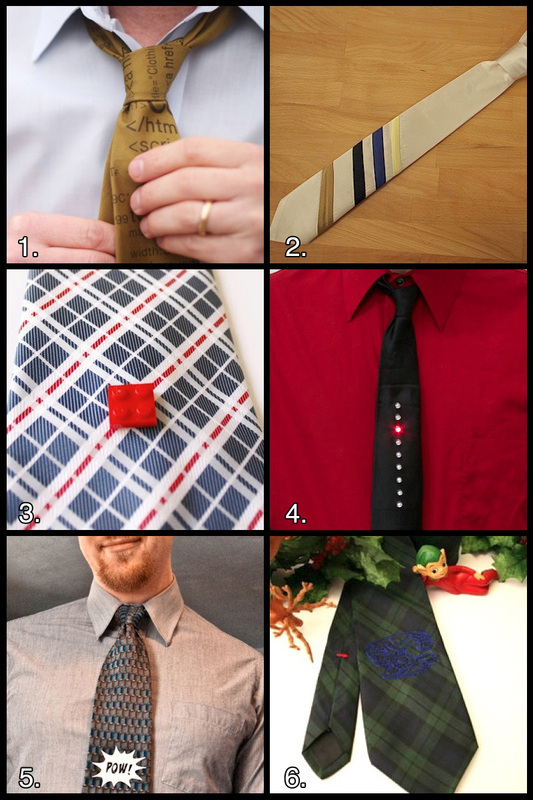 This year, give the awesomely geeky dad in your life something he’ll actually want to wear: Behold, my nerdy necktie roundup! 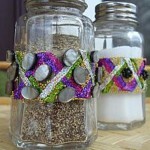 If your dad’s not the necktie wearing kind, check out my Geek Crafts: Recycled DON’T PANIC Drink Set instead. You can’t go wrong with a cold drink and a calm attitude! Are you making something awesome for your dad? Leave a comment below and tell me about it! It’s never too early to start thinking about an upcoming holiday like Father’s day for example. It’ll be here before you know it, so you might as well be prepared. 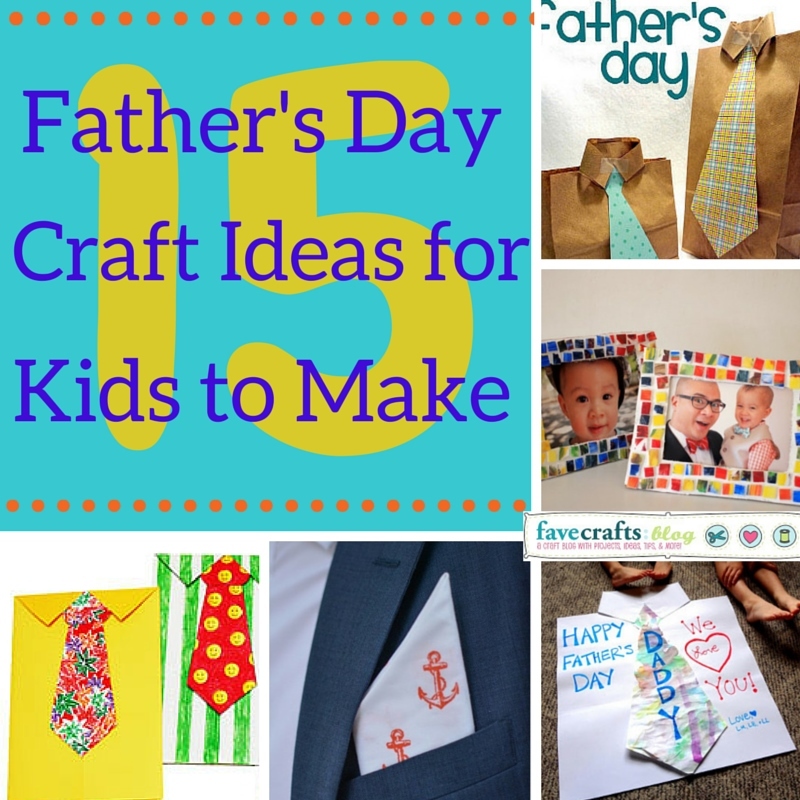 Make some fun crafts with your kids to give for Father’s day. Father’s day gifts are great when they are homemade. Daddy’s always love watching their kids grow up so of course he’ll love something made from the heart. Here you can find a fun and easy Father’s day gift that he’ll cherish forever. The word gift usually means something that he doesn’t know about, something that he has to unwrap and be surprised about, but not with this craft. 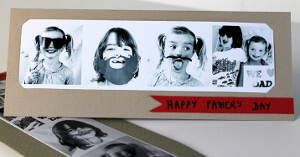 What a great gift for Father’s day then to do some crafting with your kids and make portraits. This is really neat because it’s so different, you can draw your portraits of each other on your sliding glass door or a lower window in the house. One person needs to be inside while the other on the outside. With Dad on the outside, it’s the child’s time to draw his face by tracing it with a fun Crayola washable marker. 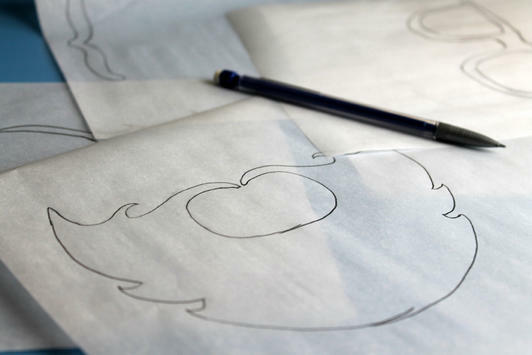 This allows the child to use a little bit of creativity while working on their drawing and tracing skills. They can draw the nose, the eyes, the lips and mouth, maybe even some teeth if Dad has a big smile on his face. You can end up with the silliest portraits by using crazy colors. Make the lips purple or draw the hair green. It’s a great time for everyone. If you don’t want to use a window in the house you can buy a clear washboard so that when it’s done you can put it in a frame and hang it up. 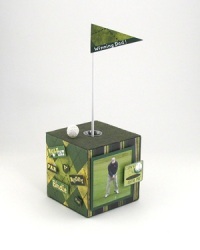 This truly is a great craft for a Father’s Day gift.